New Sessions! AcuReiki Essence© now includes massage! In today’s hectic and stressful world, women need a quiet retreat for rest, relaxation and rejuvenation. 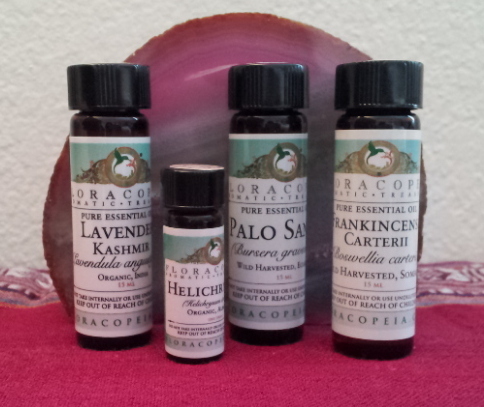 I am now integrating therapeutic massage into the popular AcuReiki Essence session. You can relax deeply and rest while receiving focused and gentle therapeutic massage to your back, neck, arms, hips and legs while comfortably supported on my heated table, all part of the restorative and rejuvenating AcuReiki Essence session. I have been a massage therapist for over 20 years, and this session will take your stress level down several notches and reset your system, rebalancing patterns of disharmony. Please click here for more info! AcuReiki Essence© (Acupressure and Reiki with essential oils), all with the basic goals of helping you to relax, release the effects of stress, and integrate at all levels: body, mind, emotions and spirit, to support your health, vitality and wellbeing. Adding a drop of a specific essential oil to acupressure points which resonates with the nature of the oil enhances the effect of those points, and creates a lovely, calm, and relaxing space in which your body's healing processes are supported. A large part of managing autoimmune and other chronic conditions is to regulate the channels and nourish the "yin" aspect, which is always deficient in autoimmune and other chronic conditions. Using acupressure within a nourishing Reiki energy field provides your body with what it needs for its healing process. AcuReiki Essence© Massage combines the AcuReiki Essence session with focused gentle therapuetic massage to specific areas of tension to soften muscles and reduce inflammation. Your session is custom tailored to your individual needs. One of the benefits of offering these specific techniques is that your session can range from focusing purely on the clinical aspect of acupressure to a more intuitive approach, allowing yourself to rest within Reiki and intuitive enerywork. Acupressure and Reiki are especially helpful for those recovering from surgery or an injury, dealing with a chronic condition, or who are physically fragile. Reiki creates a compassionate, safe space for your body to relax and do its healing work, and acupressure is done within that energetic space. Acupressure removes energetic congestion and blockages so the chi within the meridians can move freely throughout the body, supporting optimal health for all of its systems. Reiki flows where it is most needed, nourishing the channels and your body at all levels of being. Ayurveda Lifestyle Counseling. Learn how the choices you make about food, activities and your environment can support your unique physical constitution instead of working against it! Click here to find out more! Reiki for Animals. Animals do appreciate Reiki! It helps them to relax, reduces anxiety and supports the healing process. It is also valuable in the last days of an animal's life to reduce anxiety, ease pain and assist with the transition. This is an outcall session to the animal's location. Please click here for more information about animal Reiki. To receive wellness and self-help tips, announcements, updates, specials, and more, please subscribe to the AcuReiki Healing Arts newsletter, by clicking here!